Samiya Ahmed Selim is Associate Professor and Director of the Centre for Sustainable Development (CSD), University of Liberal Arts, Bangladesh . Shantanu Kumar Saha is Assistant Professor at the Center for Sustainable Development, University of Liberal Arts, Bangladesh. 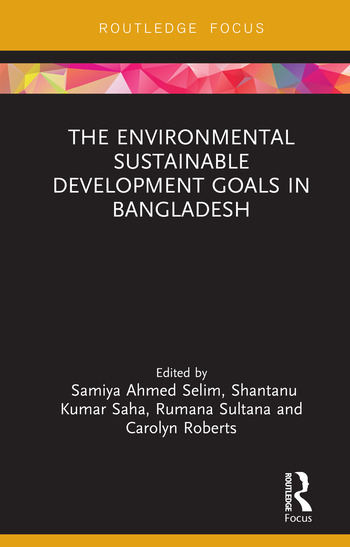 Rumana Sultana is Assistant Professor at the Center for Sustainable Development, University of Liberal Arts, Bangladesh. Carolyn Roberts is the Frank Jackson Professor of the Environment at Gresham College, UK, as well as a Senior Scientist at the UK Knowledge Transfer Network (KTN) and Entrepreneur-in-Residence at Keele University, UK.